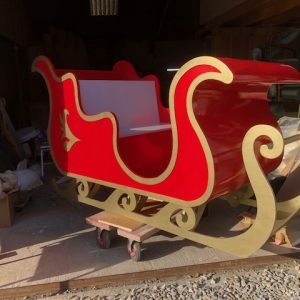 This entry was posted in Blog and tagged #creative #fun 3d model carved polystyrene Christmas CRAFTMANSSHIP creations custom design EVENT festive season HAND MADE props sculpting Sculpture sleigh SPARKLE STATEMENT PIECE unique Winter wonderland on December 17, 2018 by Lucy R.
2018 has been a great year for us at ICA Creation! 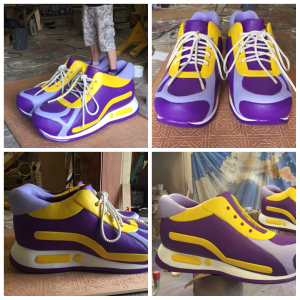 This year has been both innovative & productive. 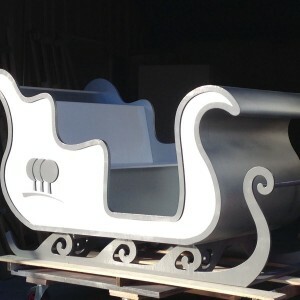 Especially with the new facilities we have in house with CNC routing this has enabled extreme precision and speed. 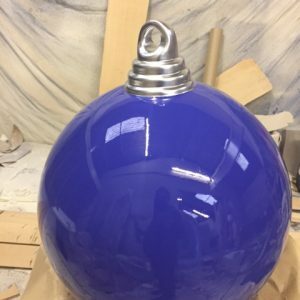 We started 2018 with a project which is both imaginative and inspiring. 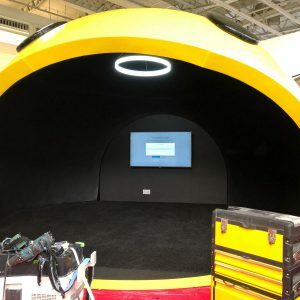 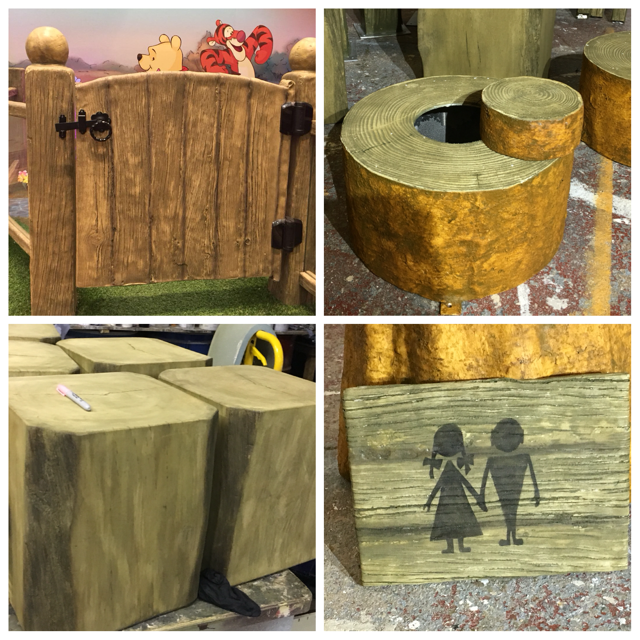 We created Winnie the pooh themed elements for Disney’s family rooms at the Westfield shopping centre. 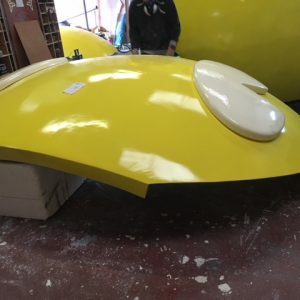 The main focus of this project was to be as true to concept as possible whilst being practical and extremely durable. 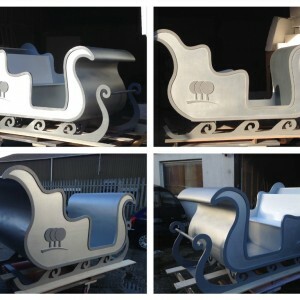 With our new CNC facilities, we are able to create large letters and 3d logos & custom panels. 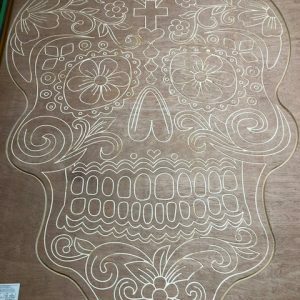 Take a look at the variety of projects which have been made possible with the CNC router. 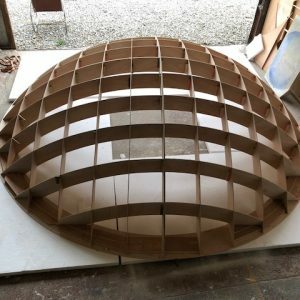 We also created elements for DaVinci’s gourmet ‘s exhibition stand. 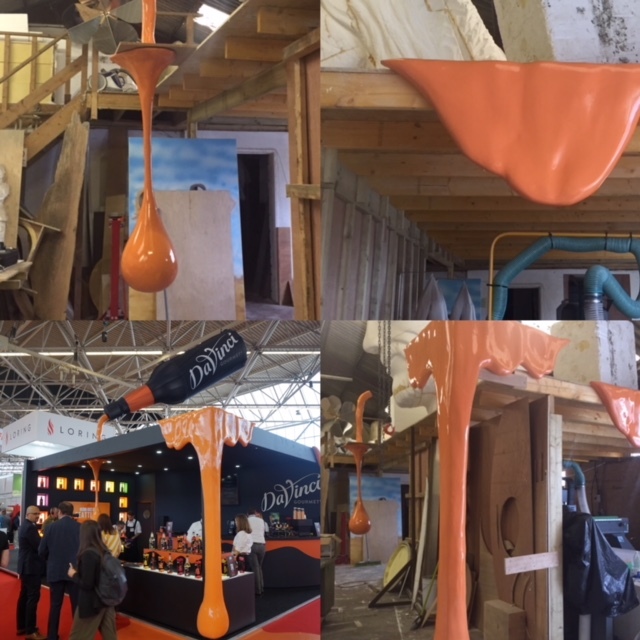 We created a pouring liquid effect of their sauce. 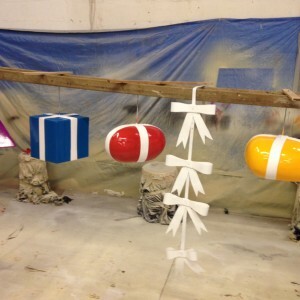 This year we created a variety of exciting props! 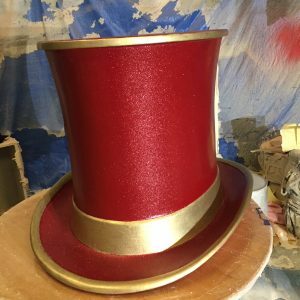 Large trainer props to help raise awareness, a sparkly red and gold top hat to be used as a prop alongside a performance. 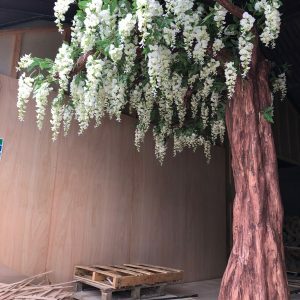 We worked with a school to create an artificial Wisteria tree to help create an inspiring space in their library. 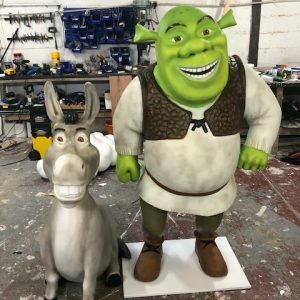 We started the Winter 2018 in a great way, creating some festive props such as the red and gold sleigh, we also had the pleasure of creating the amazing characters Shrek & Donkey to be used at creative displays. 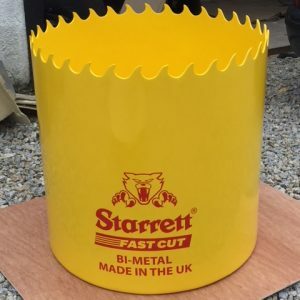 A big thankyou for sharing 2018 with us. 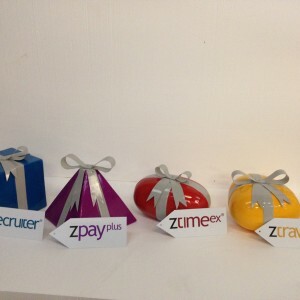 We wish you an absolutely amazing new year! 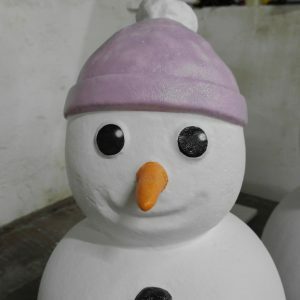 We look forward to an incredible 2019! 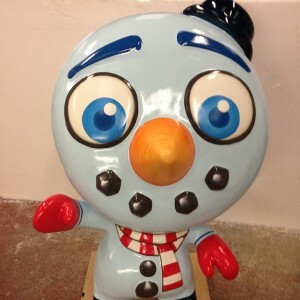 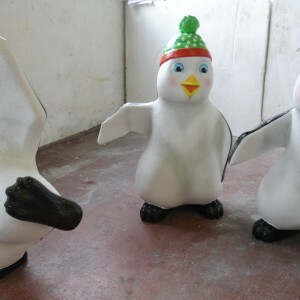 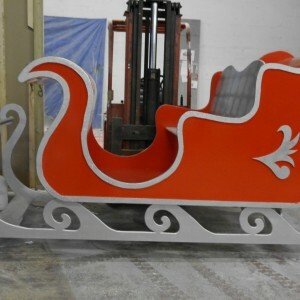 This entry was posted in Blog and tagged #creative #fun 3d model airbrush carved polystyrene Christmas CRAFTMANSSHIP creations custom decoration EVENT EVENT PROPS festive season HAND MADE HQ luxury magical props Sculpture sleigh snowmen SPARKLE STATEMENT PIECE unique Winter wonderland WOW FACTOR on December 7, 2017 by Lucy R.
As we approach Christmas 2017 closer each day and this time it’s flying! 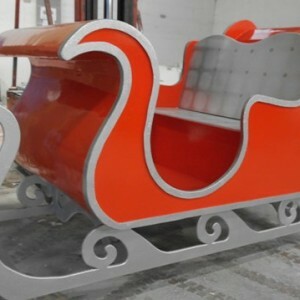 We would like to share some of the recent and previous Christmas props and special displays we have created. 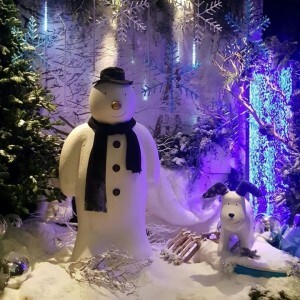 There’s nothing like a beautiful magical setting that can give the festive feeling and take our breath away that brings wonder back to Christmas. 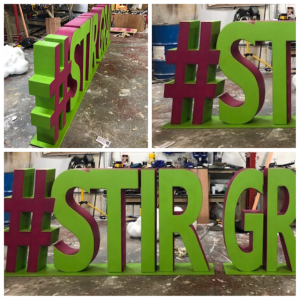 We have been very fortunate to be a part of some amazing displays or have had the pleasure or creating some key props to generate a festive feeling and most of all helped create some magical photo opportunities. 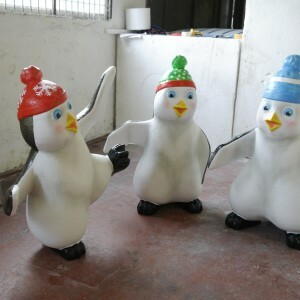 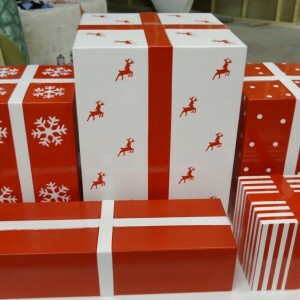 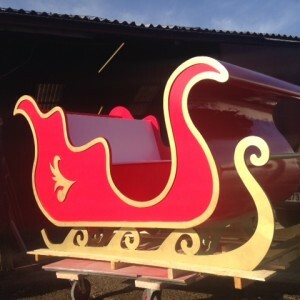 Take a look below at some of the Christmassy props we have created! 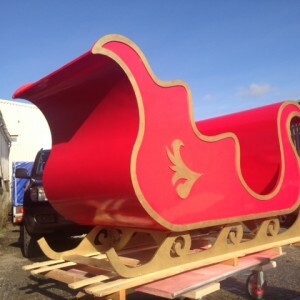 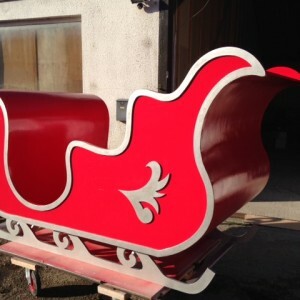 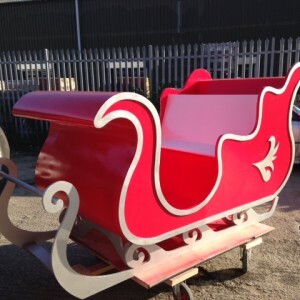 We look forward to producing many more whether it be custom and personal or some of our popular props such as Santa’s Sleigh! 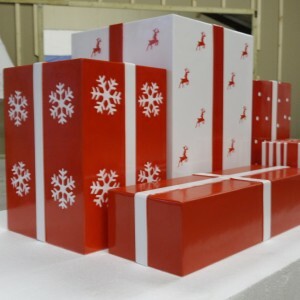 In the mean time we wish everyone a wonderful Christmas filled with warmth and joy! 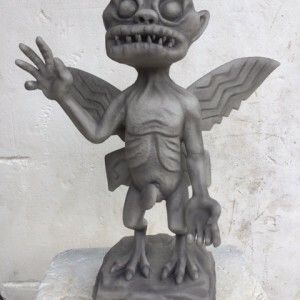 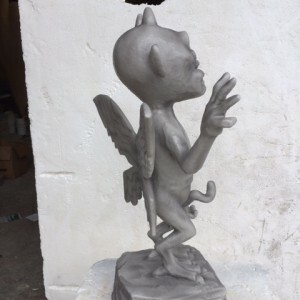 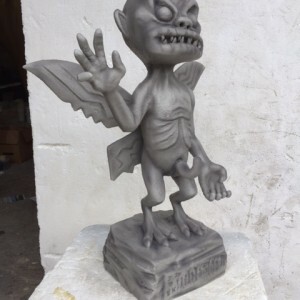 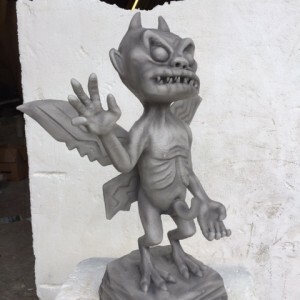 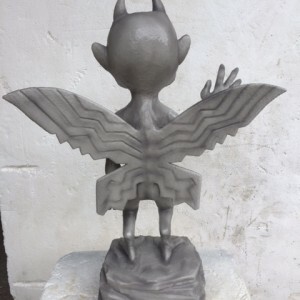 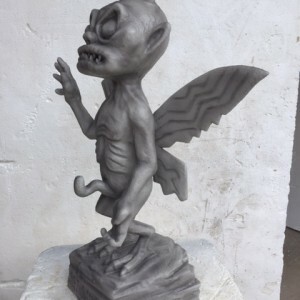 This entry was posted in Blog and tagged #creative 3d model airbrush Creation EVENT PROPS gargoyle gorillaz hand carved Sculpture unique on June 19, 2017 by Lucy R.
The sculpture was hand carved based form various image references supplied to us by Studio Tac together with some creative freedom to sculpt. 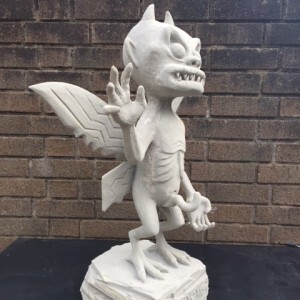 We used high density PU foam to carve as this allows for more in depth detail for the sculpture measuring at 800mm high inc base. 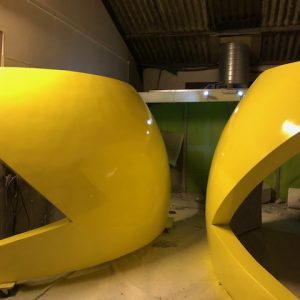 The sculpture was then coated with FR polyurea in order to create a water and impact resistant surface. 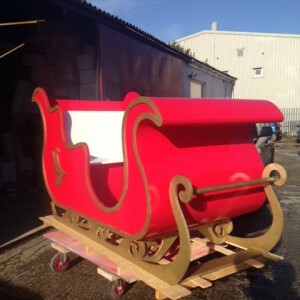 Once coated the sculpture was spray painted and decorated ready to go on tour! 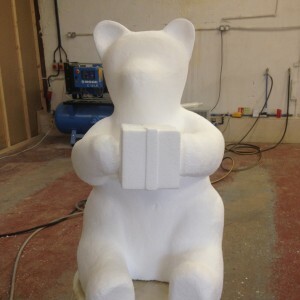 We also created a custom case for the sculpture to keep it stored safely + practical transport. 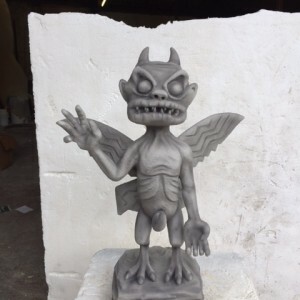 Have a look below at some images! 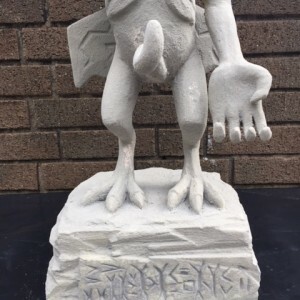 This entry was posted in Blog and tagged art bust carved polystyrene contemporary cornish workshop GIANT giant head hand carved inspire installation sculpting sculptor Sculpture unique on April 27, 2015 by Lucy R.
We are currently working on an exciting giant sculpture. 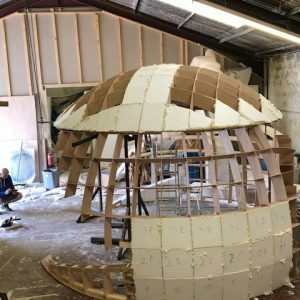 Right now we are at the first stage of and are sculpting on the giant head which is 2.4m in height. 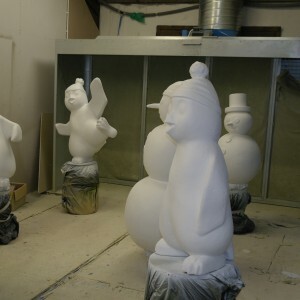 The finished sculpture will be the total height of 5m! 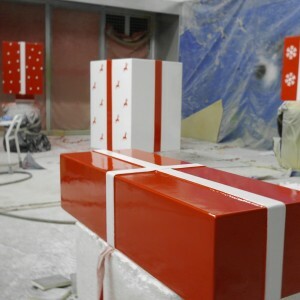 The finish will be volakas marble. 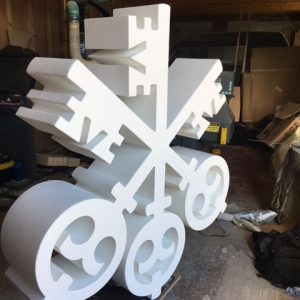 The location of this art installation to be revealed! 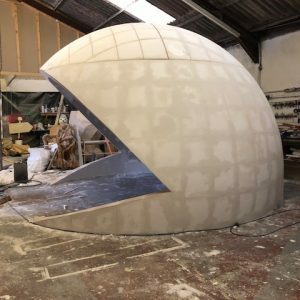 We will keep you updated of his progress with images from our workshop on our news feed here, facebook, twitter and instagram. 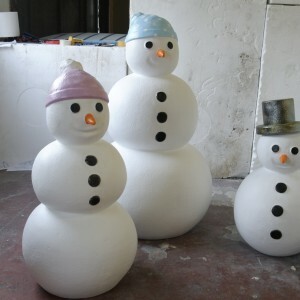 It would be great to hear what you think and how this art installation would inspire you?